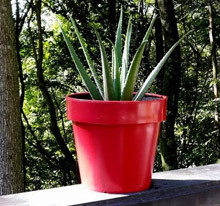 Recognized by the black interior and lively exterior colour, this planter can add the right ambience to any room. A lively room starts with bright, bold, energetic colors. 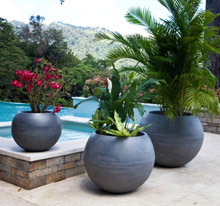 This collection puts a modern touch on our old Tuff Pot design. 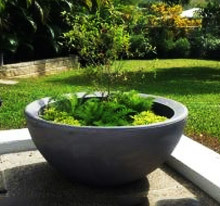 Available in a range of inviting earth tones perfectly blending with your surroundings and ideal for our nature lover.